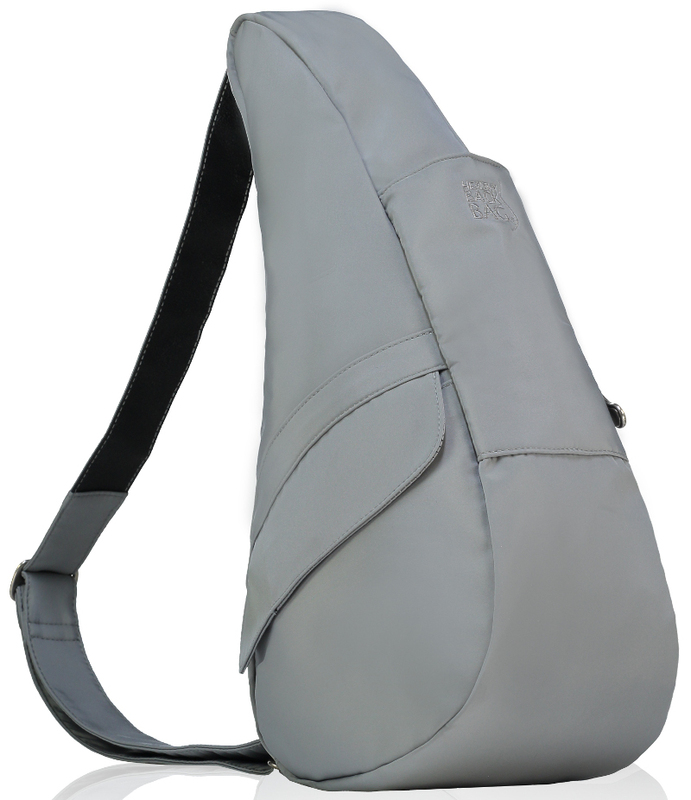 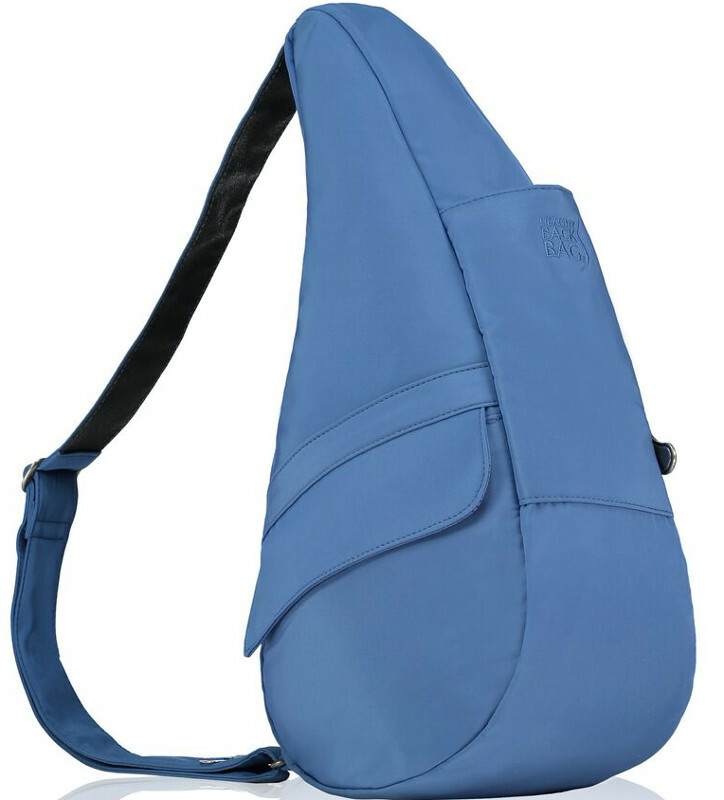 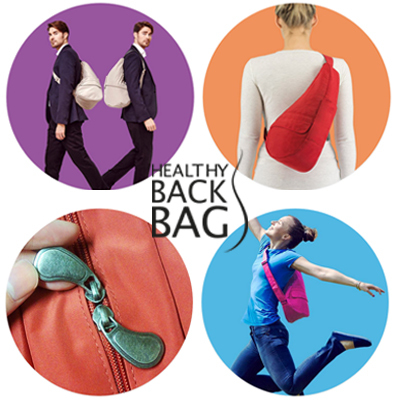 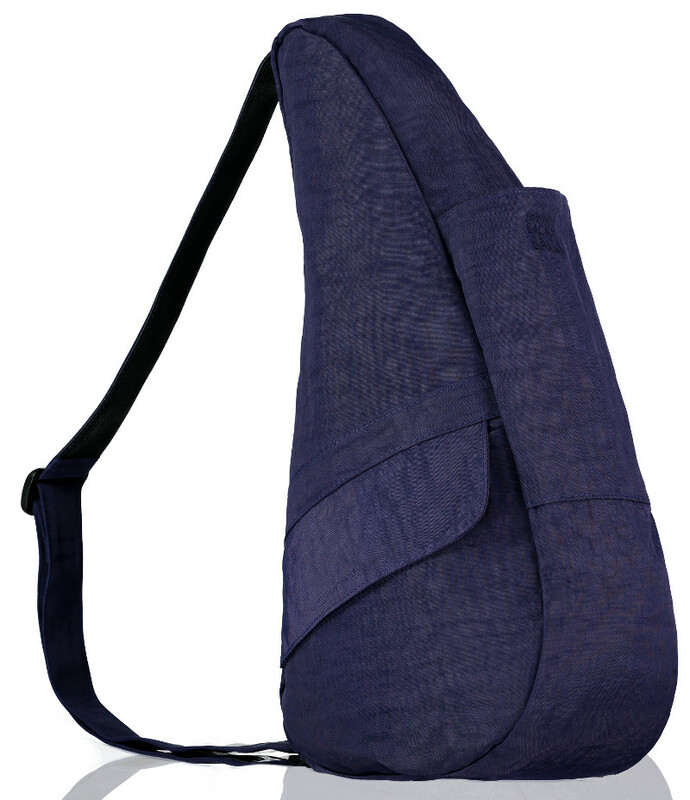 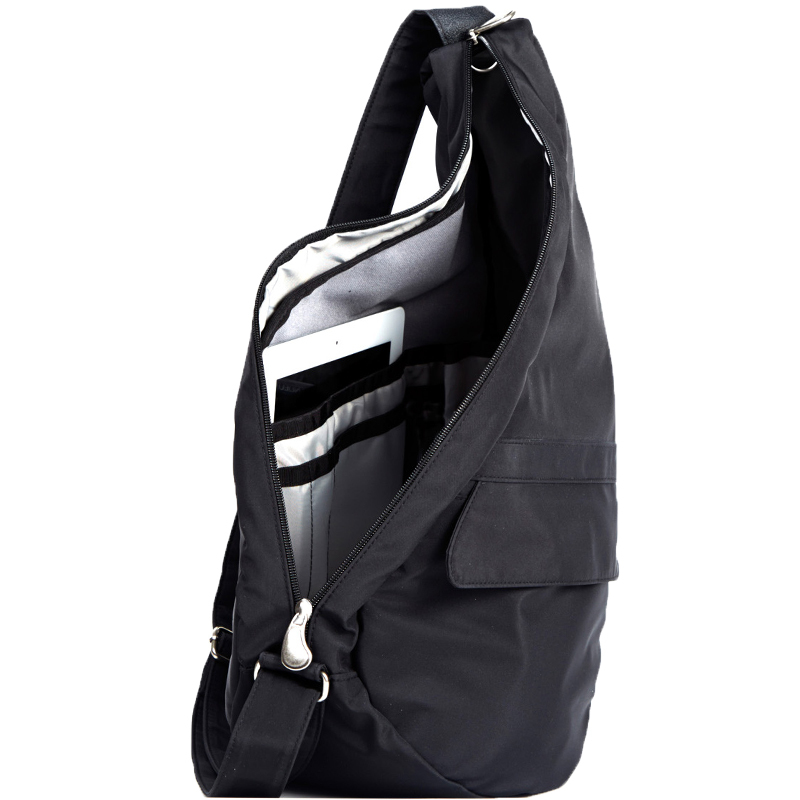 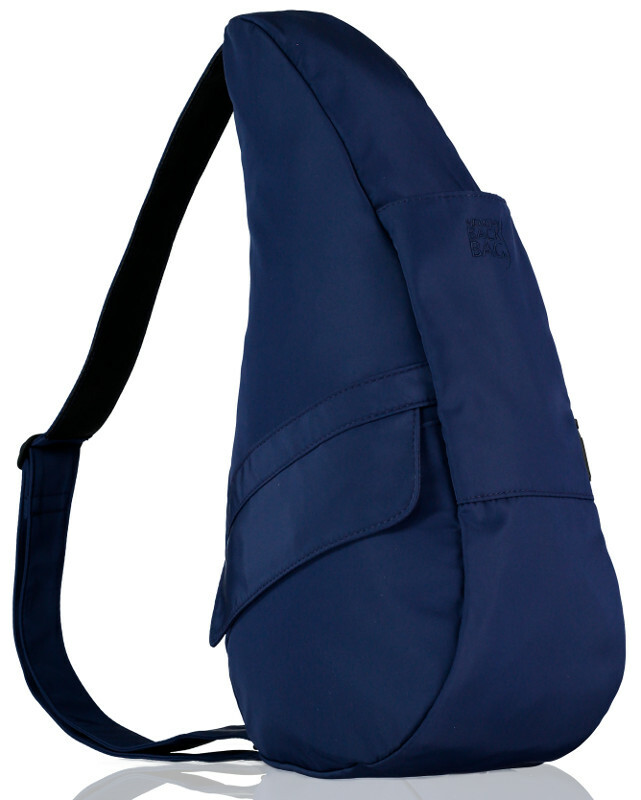 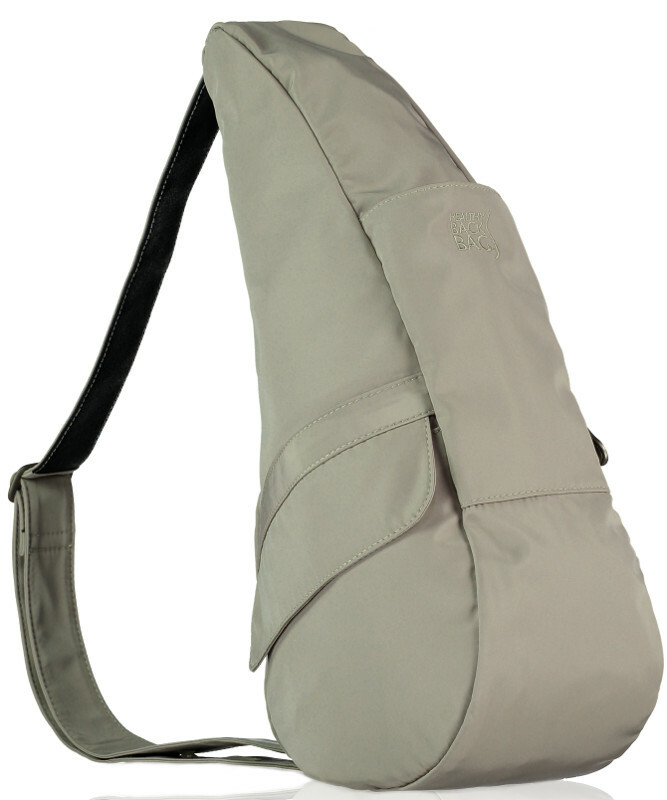 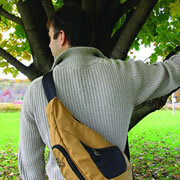 Healthy Back Bags ® were developed in collaboration with a doctor and a chiropractor to address weight stress issues in a one-strap bag. 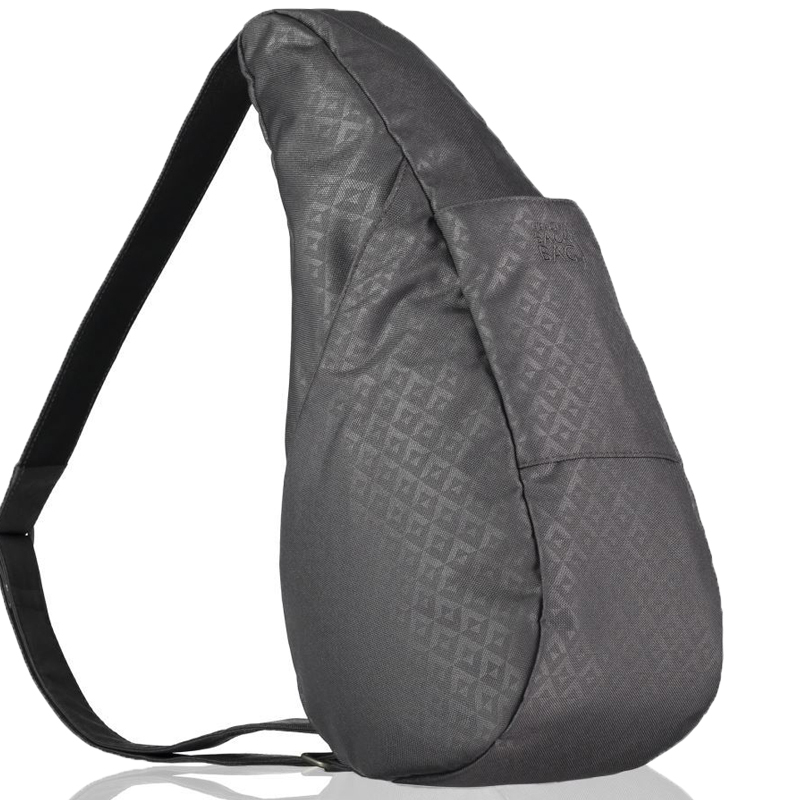 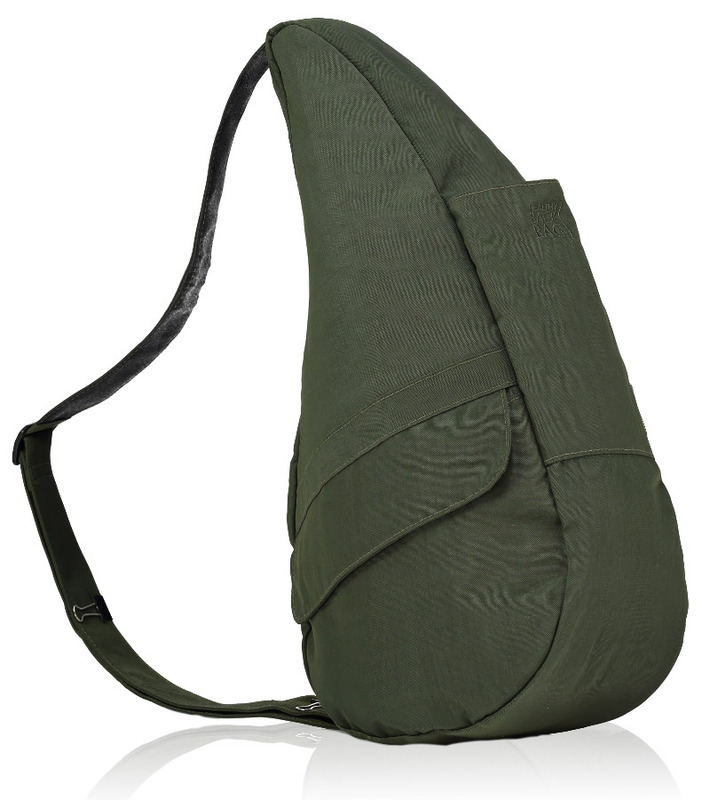 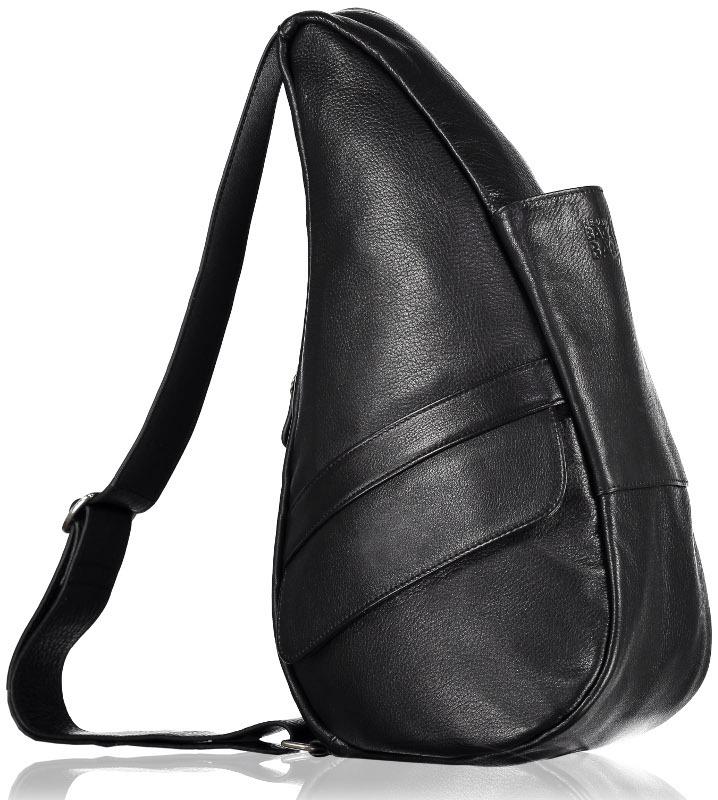 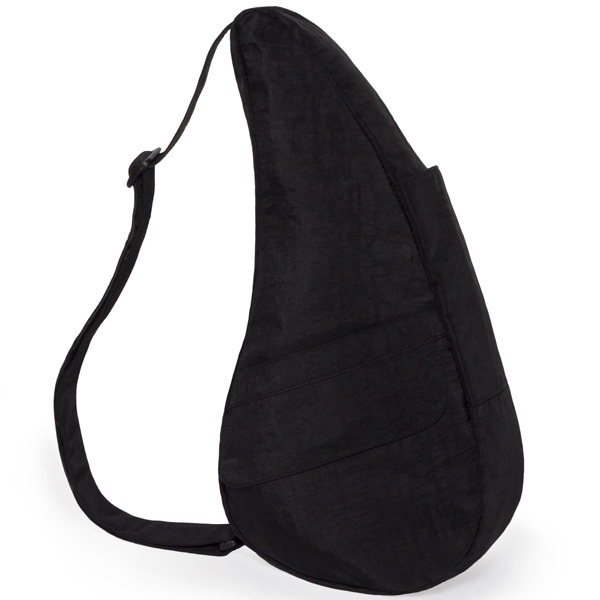 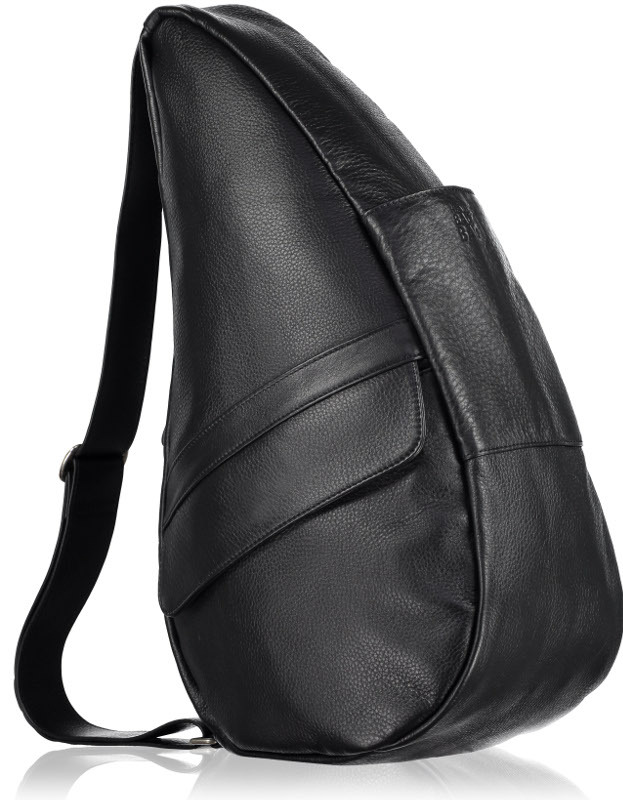 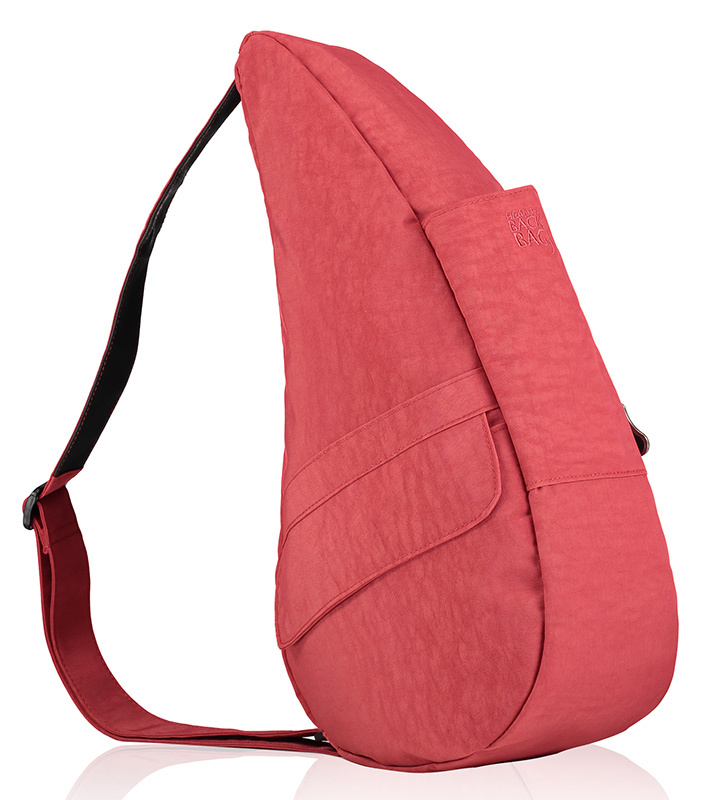 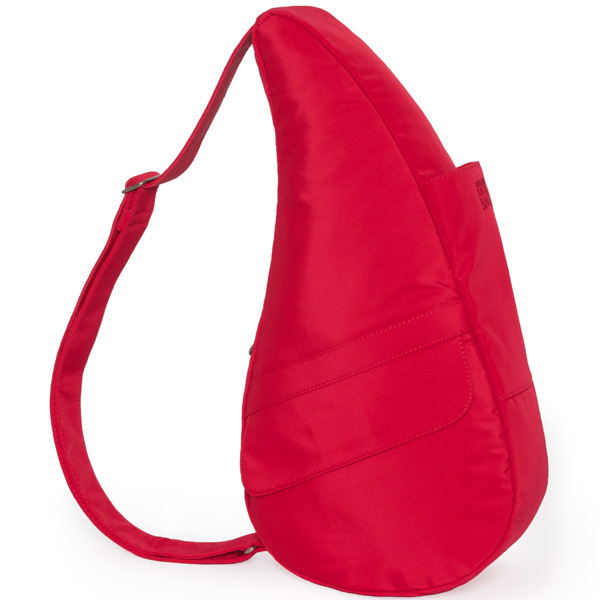 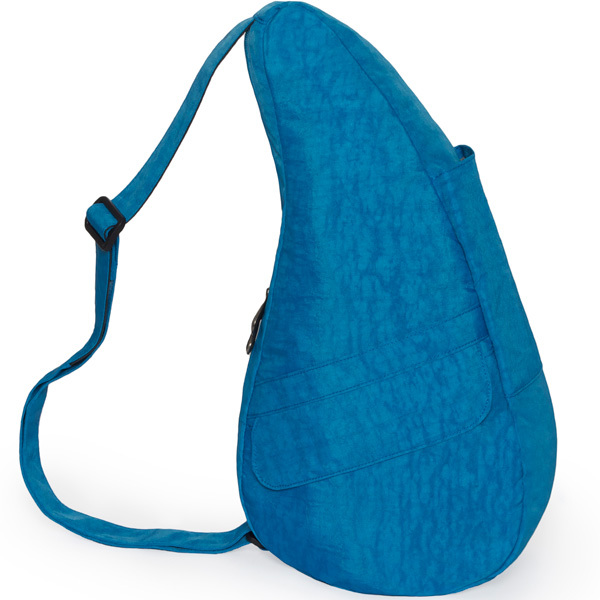 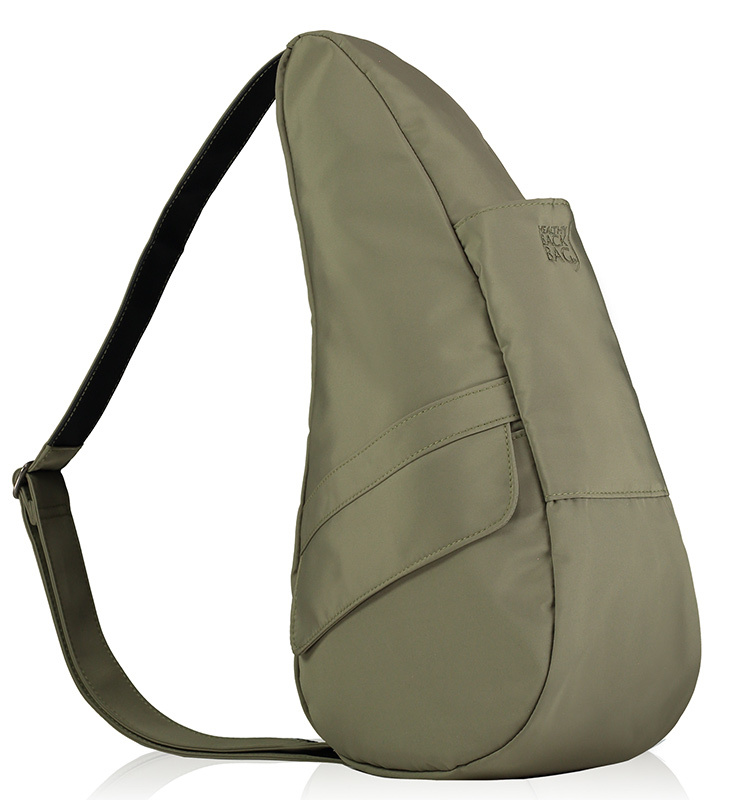 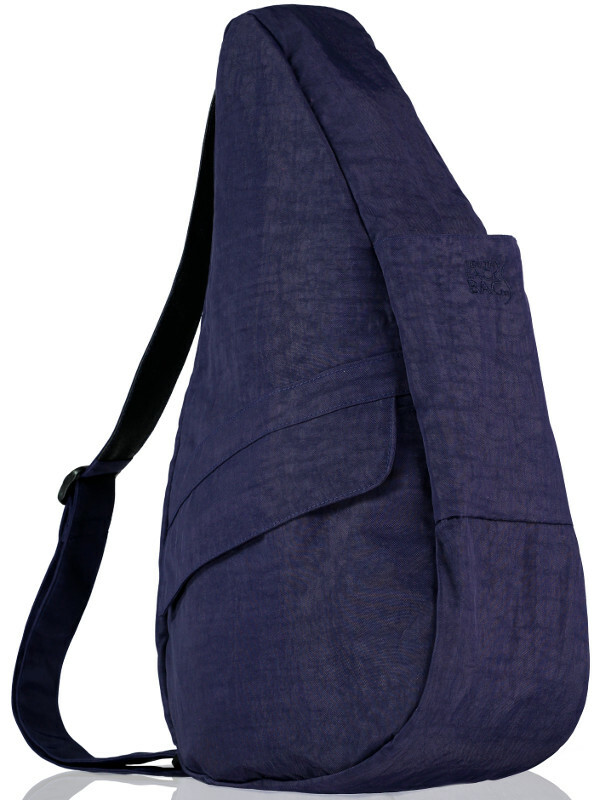 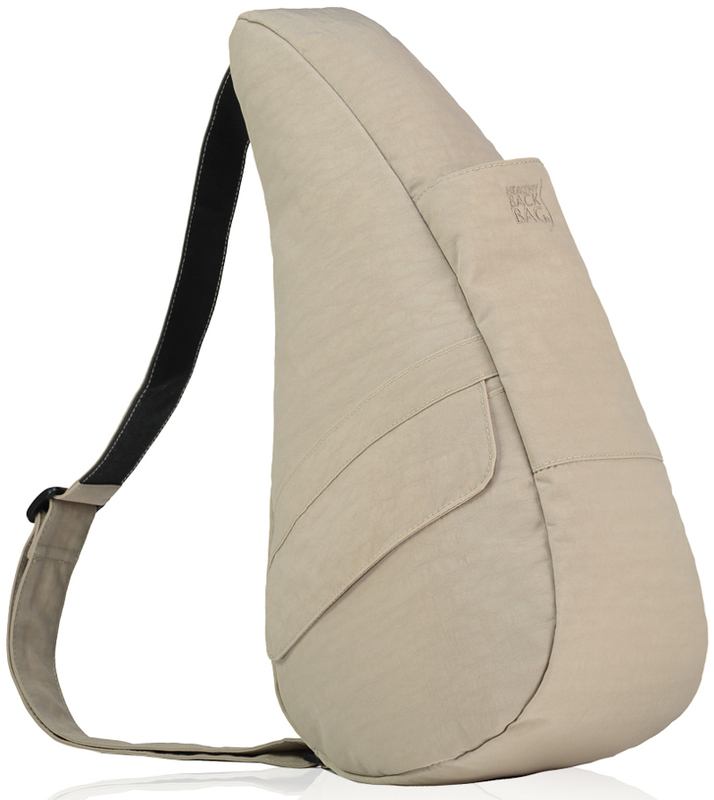 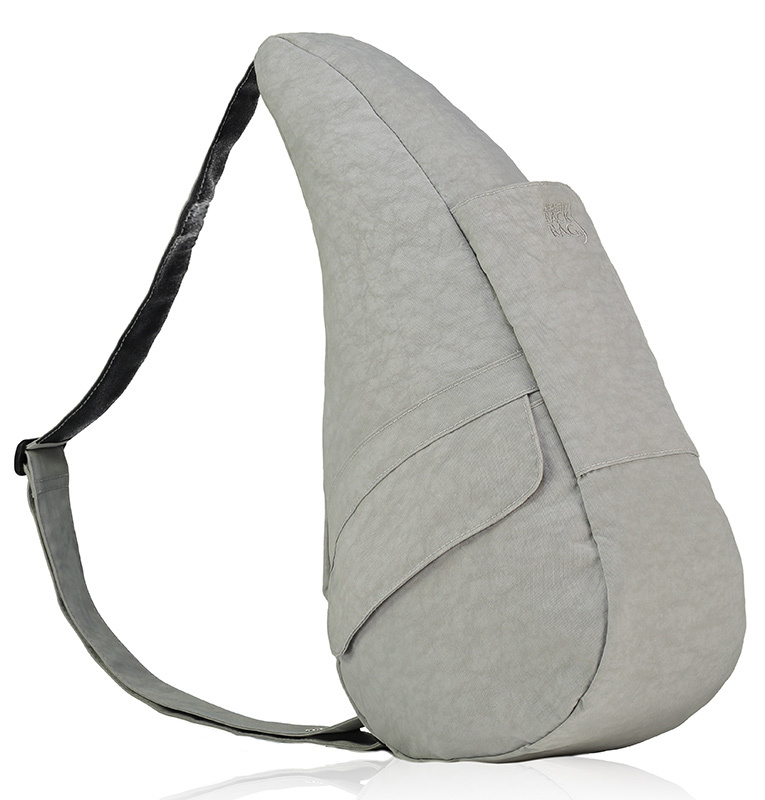 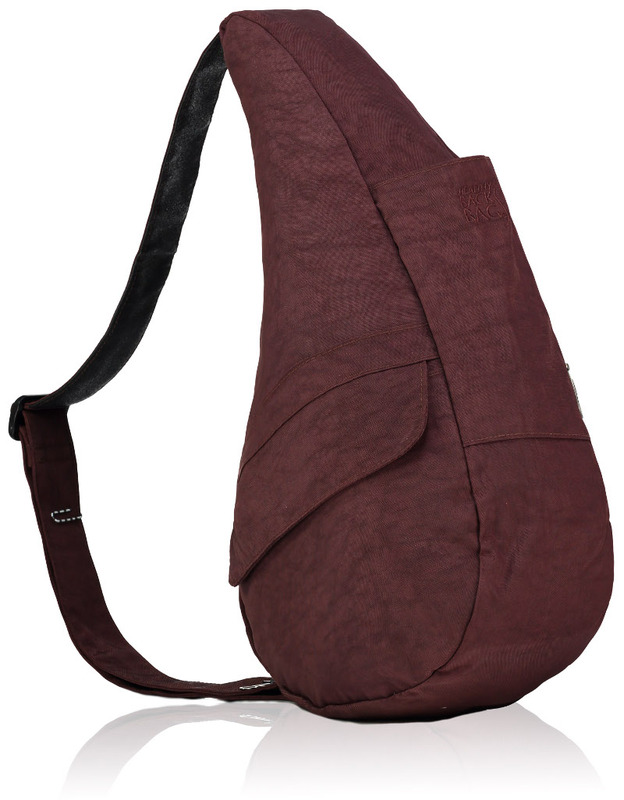 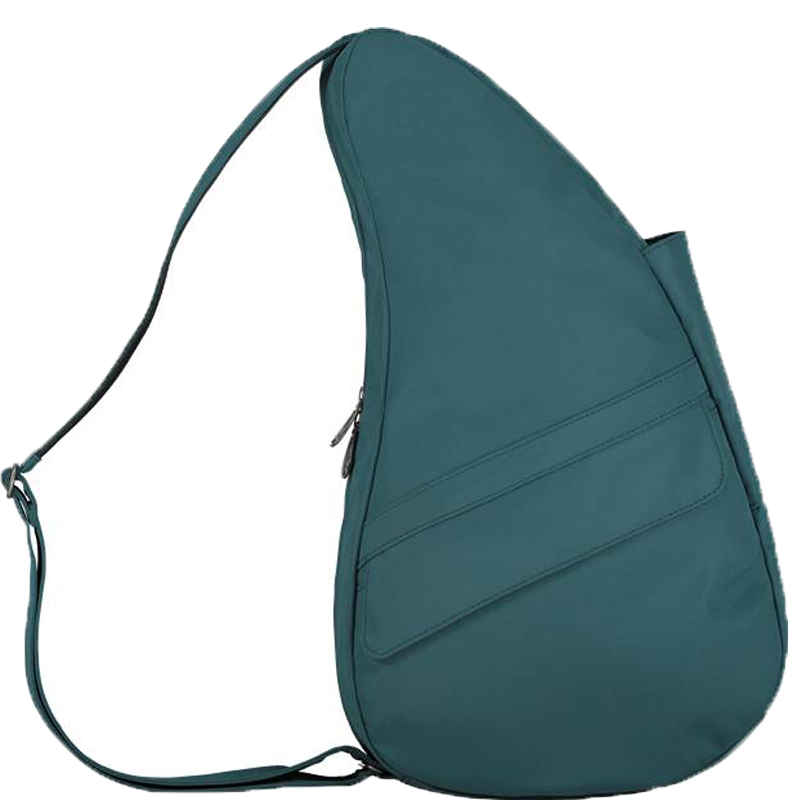 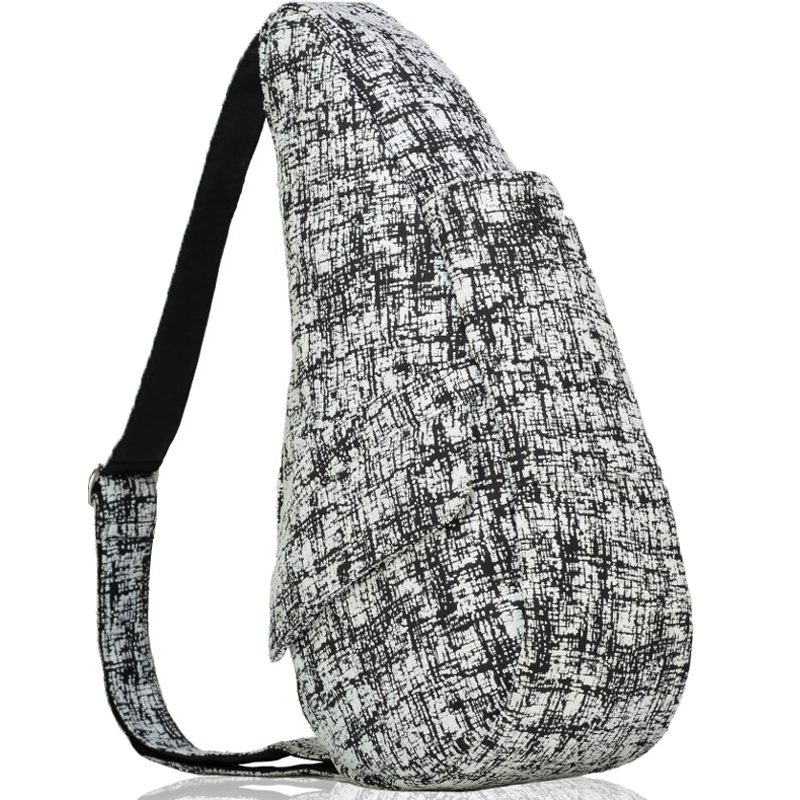 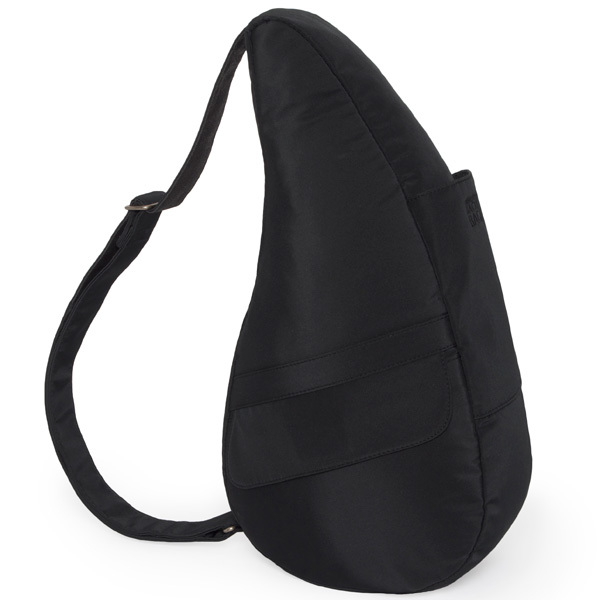 The teardrop shape distributes weight ergonomically throughout the length of the bag, rather than pulling from one point on the shoulder. 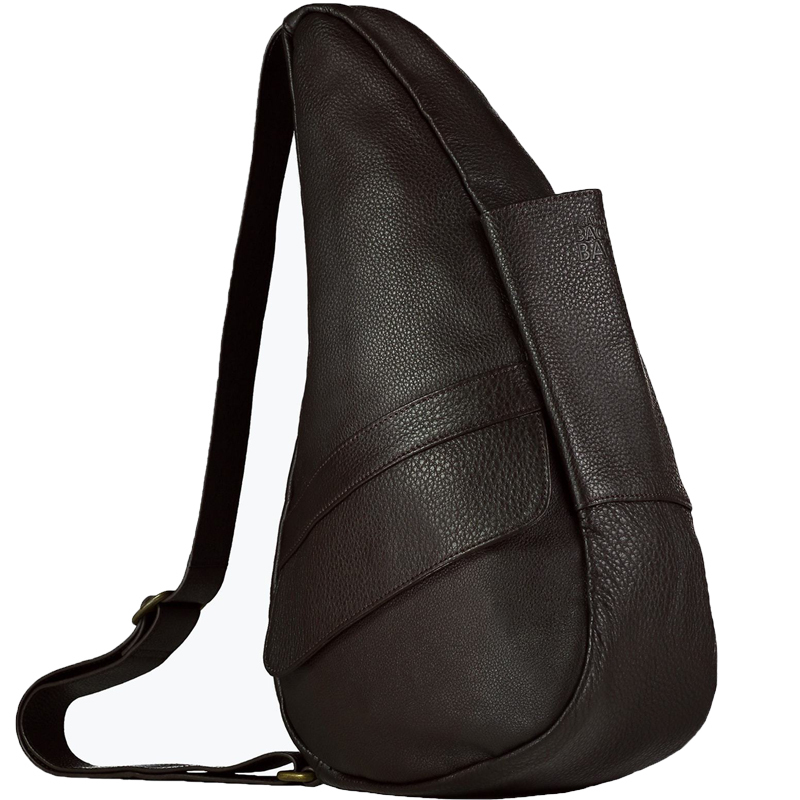 The bag doesn't pull away from the body, it contours to your back, whether you wear it on one shoulder (either shoulder) or cross-body. 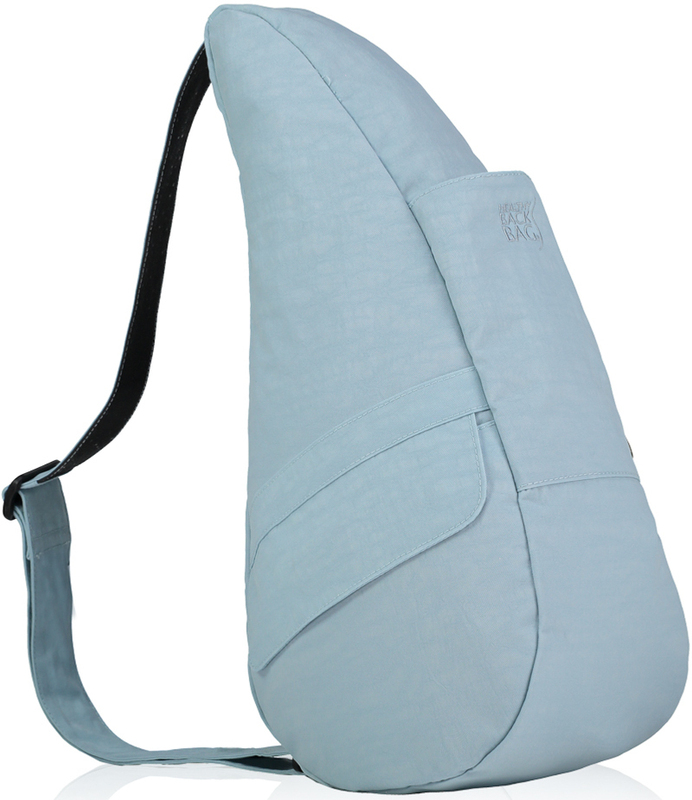 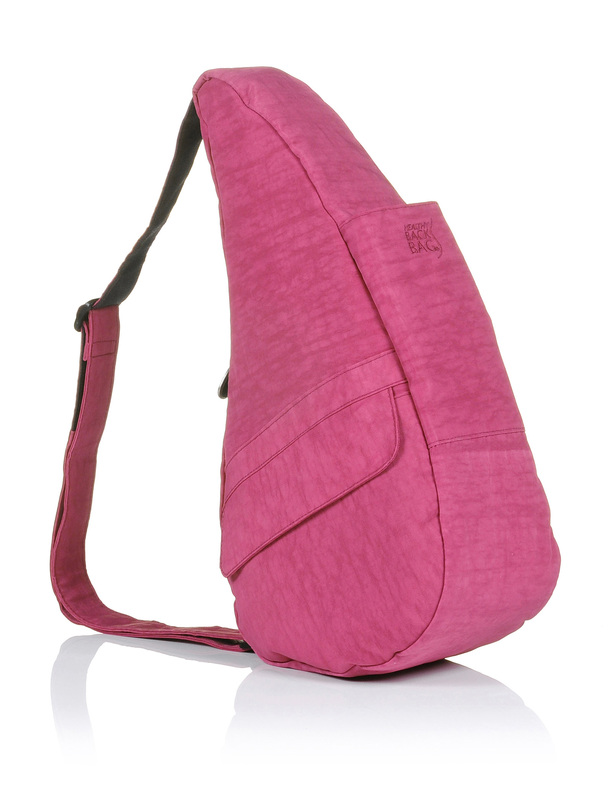 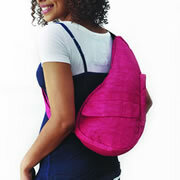 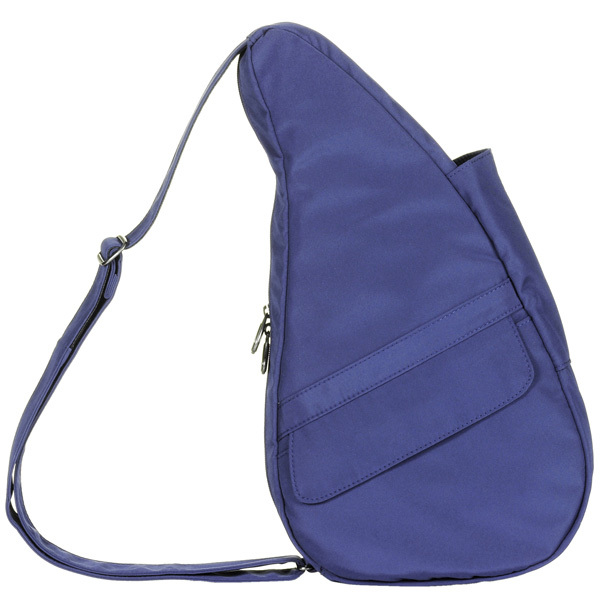 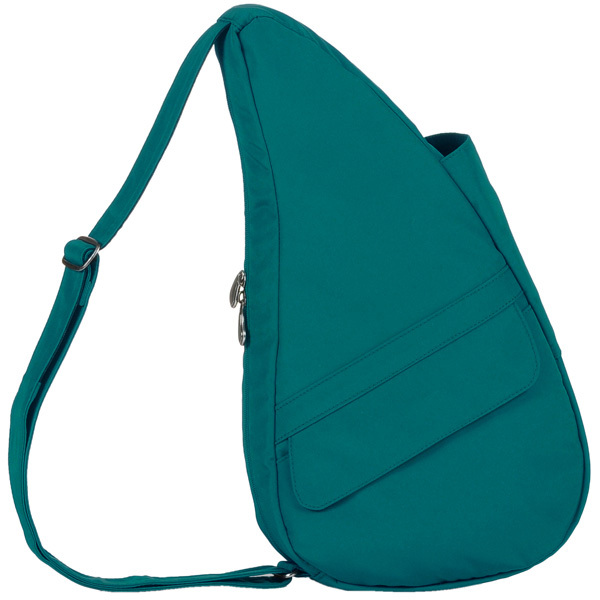 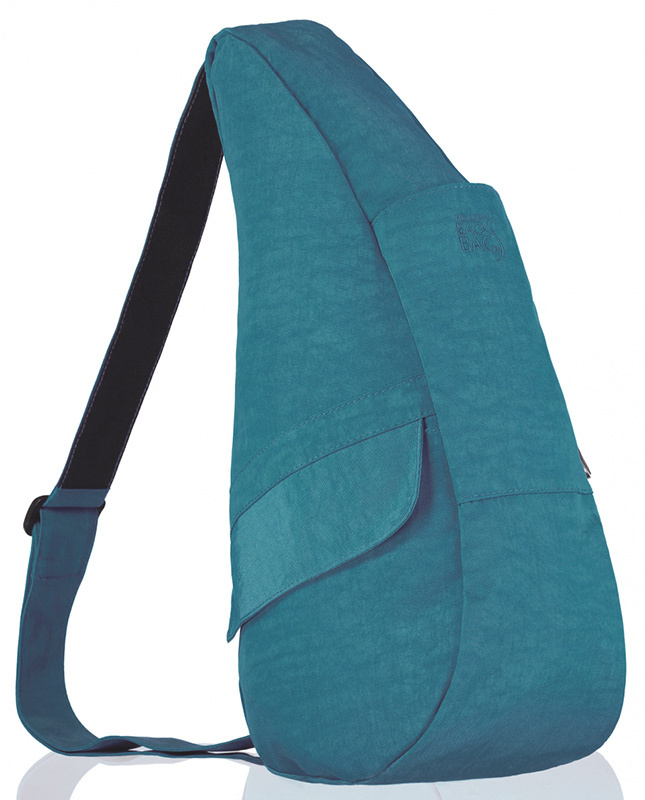 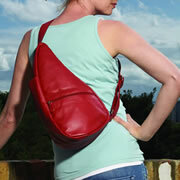 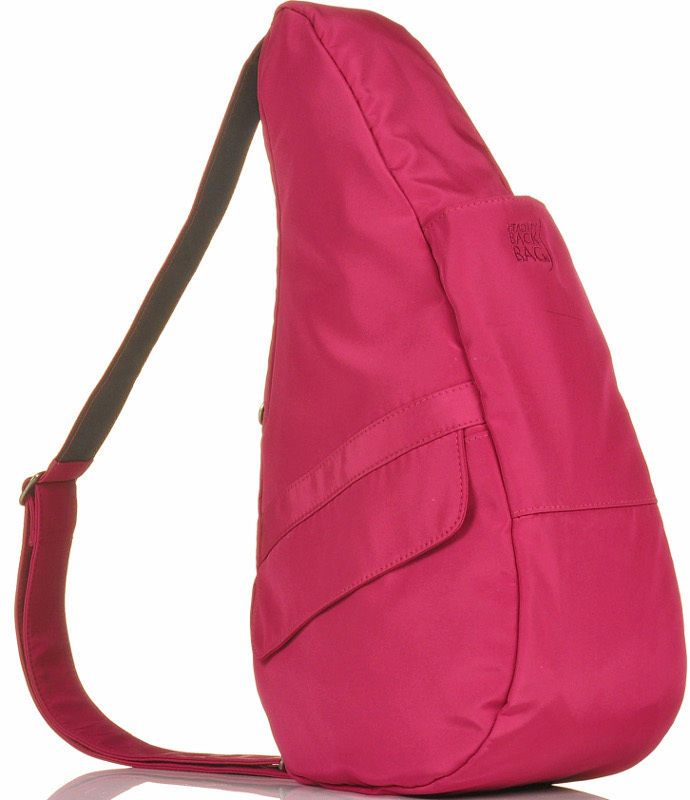 The Small version of the Microfibre bag. 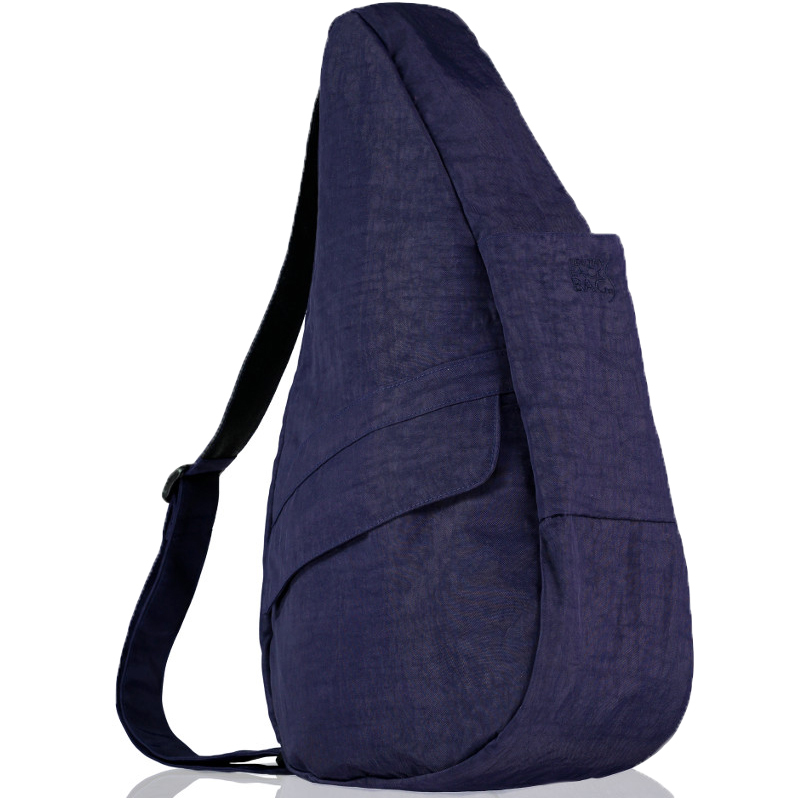 The Small sized version of the Distressed Nylon bag. 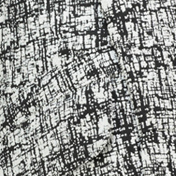 Embossed hologram style pattern printed directly onto the 100% easy-care polyester fabric. 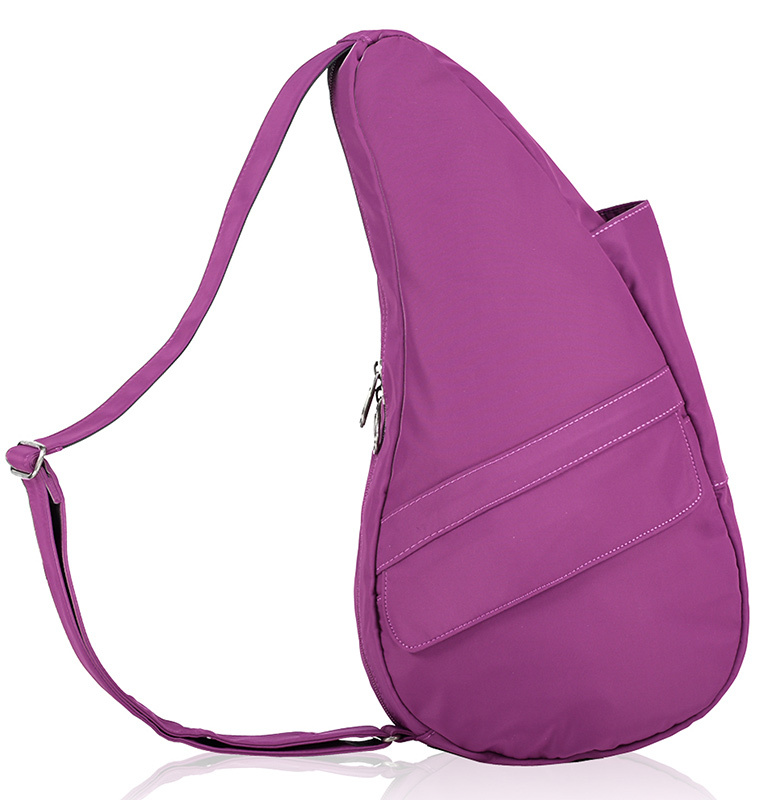 Modern colour is directional and on-trend and complements the sleek, elegant Anniversary style HBB.